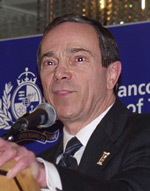 The Honorable Stephen Owen addressed a full house in the Crystal Pavilion at the Pan Pacific January 20th, 2005. It was mostly straightforward socioeconomic information regarding 2010 Winter Olympics and sustainability, but he did cover a few of topics that were thought provoking. Sustainability is a contentious issue and it will be interesting to see how it plays out in the years to come. 2010 is poised to be the first official sustainable Olympics -- whatever that really means. The record for responsible environmental management, which is a cornerstone for sustainability, is scandalous. Environmental issues are the first on the chopping block whenever it is a question of sustainable land use or of clear-cutting a forest for a temporary parking lot. The money goes to Olympic operations and development every time. Sustainability and the environment take a back seat to sporting event logistics, operations and development. The show must go on. It's extremely difficult to get reliable numbers when it comes to environmental issues and the Olympics, but we do know that in Salt Lake City the budget was hacked at the eleventh hour from 5.5 billion promised during the bid, to about 1.5 billion. Salt Lake City was an environmental disaster. Olympian skier and Ecologist Hilary Lynde caused a few jaws to drop last year at an all day seminar hosted by Vancouver law firm Singelton Urquhart. You can read about it here. Minister Owen ran down a long list of topics, and in true political fashion endeavored to touch on everything, but not go into details about anything. It was a relatively superficial rendering. Somehow, in the provincial plan, sustainability, the environment and competitive advantage for B.C. are sheltered under one umbrella. 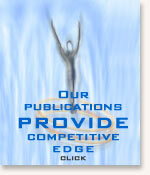 When I hear the words environment and competitive advantage uttered in the same breathe I giggle like a school girl. No kidding. I can hardly type these words in the same sentence. For all you engineers, ecologists and economists who feel compelled to enlighten me please feel free, but sign your name because I'm going to hold you to it along with Stephen Owen. If you think environmental responsibility will foster competitive advantage then sustainability is destined for failure. It's an investment in the future, not a way to generate revenue over a short or mid term. Sustainability can't be governed by competitive advantage, but politicians keep trying to do so. I suppose if they convince businesses they can profit from it they will work harder towards meeting goals, but it's a hollow promise. Minister Owen hit a bullseye though when when he reiterated one of my favorite recommendations to companies interested in leveraging Olympic momentum, and that is to develop a stronger technological presence. If B.C. wants to grow economically we don't need more mechanical or natural resource industries, we need technology. 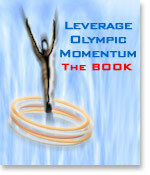 Historically, in Olympic regions technology is the second largest growth sector behind sports. With technology the investment is weighted towards human resources and not real estate or infrastructure. It's also clean, efficient and easily scalable, plus it interconnects with global networks. Owen talked about developing fuel cell, tidal power and heat pump technologies. He backed his ideas up by explaining that social inclusiveness would give us a good base for employment and that the stability it would provide would support strong economic growth. He told a story that was driven home as I motored up Burrard after his presentation. Owen told us of the Yellow Cab company using hybrid vehicles, and that drivers of the Toyota Prius cabs will educate their passengers about the efficiency of these alternative fueled vehicles. Sure enough, as I turned left at the foot of Burrard to head south one of the Yellow Cabs cruised right alongside me with the driver talking a mile a minute over his right shoulder to his passenger. In that brief moment my skepticism abated and I started thinking in more detail about the Minister's views regarding multiculturalism and how we must celebrate it, and expand the gateway to Asia. Considering that Beijing is hosting the Summer Games in 2008 we have even more cause to open up the networks and stimulate communication. It's a pipeline between our two cultures that will be good for everyone.